Innovation does not happen at an instance in time, it's an ongoing activity. Like how an egg is carefully incubated under the warmth extended by the hen's body, innovation needs that initial hand holding. This essentially comes from the innovators themselves. And like how the chicken sees the daylight outside of the egg shell, innovative ideas also see the daylight. Like how the chicken is carefully nurtured by the hen, the idea needs to be nurtured by the innovator. End of the day, it's all the same - Innovation is not an elusive something. It is something that is bound to happen. It's the law of nature. The chicken or mankind all are good examples of innovation - we are unique with a set of different and unique qualities. Try to look at innovation this way, and you will get rid of that fear inducing question - "Can I innovate? Can I also be an entrepreneur?" clouding your thoughts. That said, here is the next big mythical question "Is India only an Outsourcing hub? Why aren't there many Indian companies with great products?" I've read many such articles in the internet, especially in the last one year, where authors have expressed this feeling. Lately I also read Sramana Mitra's (@sramana) article on Forbes and her blog post sometime back. Firstly I'd like to point out that innovation is not necessarily related to creating great products. India has had a high innovation quotient all along - even creating great service outsourcing companies need innovation. I'd rather prefer to call the bunch of body-shopping IT companies as the ones who've given a bad name to outsourcing in India. Unfortunately, these companies do continue to survive even in these testing times! On the products side, in my opinion, below are some of the critical factors that have affected the birth of product innovation. Indian colleges & universities - These continue to advertise as "100% placement"
The Indian upbringing - We still continue to coax our kids to take the safer route. The risk-taking attitude is seldom seen here. I also agree with Sramana Mitra's thoughts on the effects of "colonization" in India - it's very true. These are larger level issues that we'll need to collectively answer. First realize that you need to start by cleaning the ship deck before becoming the captain of the ship. Stop drooling over fat salaries and start taking risks right from the beginning. Take a baby step, crawl and then start to walk. You will fall, but don't give up. Remember this is the start of your marathon dream! Have you ever seen someone who has forever not been successful? I have not! From the most ill-luck-struck and paupers of the world to the top in class businessmen and women, I've seen success in every one of them. The difference is "How long did the success last?" I was ruminating over something I saw last evening when driving past a well known street-side food vendor (a hangout for people of all ages, creed and social statuses). After a presumably long wait a mendicant got some sizeable moolah from someone who drove down in his Mercedez Benz. I saw both of them get food from the same hangout (can I say they dined together?!?). The mendicant went back to his business soon after - to seek alms from the passers by, and Mr.Benz whizzed off in his car. This very sight got me thinking - "How are these two different? How are they doing what they are doing? And, why is one seeking alms while the other riding the fast track?" Success is a subjective term when used independently. When we start associating this term to appropriate people and activities, we realize that success is more objective. The mendicant who was spending his life seeking alms indeed saw success when he got moolah to satisfy his hunger. To him that was success all about and he wasn't worried about how he would manage his breakfast next morning. This is the short-term success. We all see short-term successes - almost every other day. However, Mr.Benz saw success from a different pair of glasses - to him, success was somewhere in the horizon and he was (probably) still searching for it. Or just to put it simple, Mr.Benz's glasses weren't myopic. And, here comes my point - It's not about long-term or short-term success. It's about how much of control you have over your success. If you do not have control over the success factor, you will end up catching the tiger by it's tail. 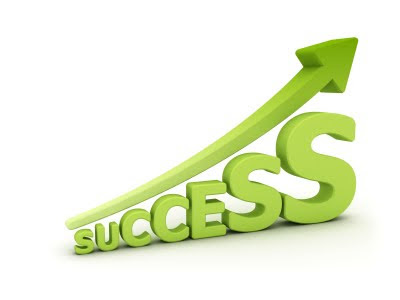 It's not just about gaining success, it's about how well you sustain success in a way that it doesn't trip you. I'll not want to tie this back to the Benz-mendicant story above as I believe open-ended stories can get us thinking! Keep a check on your success, long or short term, and make success a journey - not a destination. It's all about Kaizen. Keep an eye on the changing factors around you and believe that it can change the success factor. Stay on the leading edge, and not the bleeding edge! Keep innovating! Twitter, Trade and Global Economy? 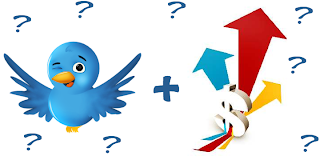 Having passively observed Twitter grow from a mere status update tool to a buzz, I must admit that the creation of Twitter has been a truly open creation. Twitter has given birth to a whole new set of business models and also tools and platforms. Having said that, here is something that I'd like to share with you.....something that I've been thinking about for quiet sometime now. With the Twitter-effect being as powerful as an avalanche, how can it really affect world markets? Here is a case - How would it be if a successful stock market trader with thousands of Twitter followers tweeted about him buying a stock? Could that potentially trigger all his followers to buy loads of the same stock, thereby creating an artificial demand - everything in just a few minutes!?!?!! This can potentially help a lot of people make money while driving the stock market highly volatile. Well, this is just my thought. What say you? Given a chance, would you do something like this? On the other side, do you think something like this can help the world economy grow?